We are excited to open the registration for our 2019-20 tournament season. 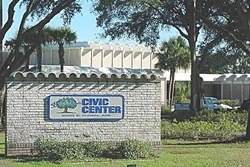 The tournament venue for the first four tournaments will be the Bartow Civic Center (2250 S. Floral Ave, Bartow, FL 33830) ). Last season, we were nearly at full capacity with almost 600 players and we expect to have full capacity this tournament season as well. Student registration will be online only (we will not accept any paper based applications). For the upcoming tournaments, the players should be present at the check-in desk at our tournament hall (Bartow Civic Center) latest by 8:30 am. We will plan to start the announcements by 8:15 am so that we can start the games faster. Like previous years, unless we have emergencies like the hurricane, we will have four (4) games. We have tentatively planned to complete the tournament day by tentatively 3:30 pm, but will keep you updated via our Twitter feed. (must have played 12 of the 16 rounds to qualify for the Championship) All of the tournaments will be Game 30. Check-in latest by 8:30 am at the registration desk. Read the revised players rules - specifically the revisions about taking notations. We look forward seeing your school represented! Thank you for your continued support and participation. Follow us on Twitter @PolkChess for Tournament updates and announcements.